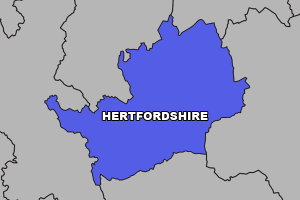 Your Telecom are a business telephony provider that supplies, fits and maintains telephone systems in Hertfordshire and other areas in the South-East. If you are a company that requires an on site or cloud telephone system and are located in Hertfordshire then call us now! We have some fantastic deals that include start up and small business phone systems, as well as larger corporate systems. We have engineers that are located in Hertfordshire that means we can react as fast as possible when customers need urgent support. Business Telephone Systems Hertfordshire | Why Choose Your Telecom? We feel that telephony is vitally important for any business, therefore we spend a lot of time in building solutions for our clients. We take into account various factors when providing a telephony solution including specific businesses features, possible improvements or future changes and also failover facilities. We also ensure this can all be achieved within your company’s budget. That’s why 96.7% of our customers choose to never leave us. With our contracts starting from a single month rolling term, we’re confident when we say that our clients are with us because they are happy to be, not because they are tied into a lengthy contract. Your Telecom have been a provider of LG traditional telephone systems in Hertfordshire for a long time now. But with telecoms evolving so quickly and given the fact that every new company we take on has very different needs from the last, we chose to provide a broader portfolio for our clients to benefit from. Which is why we have now teamed up also with Avaya and Panasonic for PABX telephone solutions as well as taking on 2 of the UK’s best Hosted VoIP networks. With a variety of telephony solutions now available, Your Telecom can say with certainty that regardless of the size of your business, regardless of your requirements and regardless of your budget, we know we can build a service that is perfect for your organisation, in every way! If you are an organisation in Hertfordshire and would like to discuss what Telephone Systems are ideal for your business, then call us now, or email solutions@your-telecom.co.uk with your details, and we’d be glad to assist.